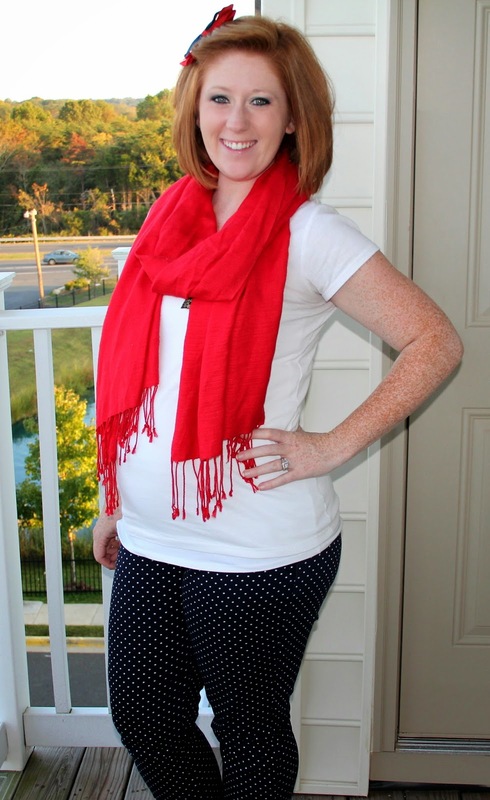 A Little Bolt of Life: Who Doesn't Love Polka Dots? Just a few days away from officially being in my third trimester and just as I imagined, getting dressed for the day is getting more and more challenging. I know I sound like a broken record every week, but it's the truth! The worst part is the lack of variety. Not only when you're shopping for maternity clothes (because it's all plain, boring and solid) but when you're staring at your closet every morning trying to come up with a new combination of clothes to wear that day. Today I'm wearing some pants I got at Motherhood early on. Who doesn't love polka dots these days?! These pants are comfy and great to wear to work so it's a win win. As far as tops go, I keep it pretty simple so they can be more versatile. 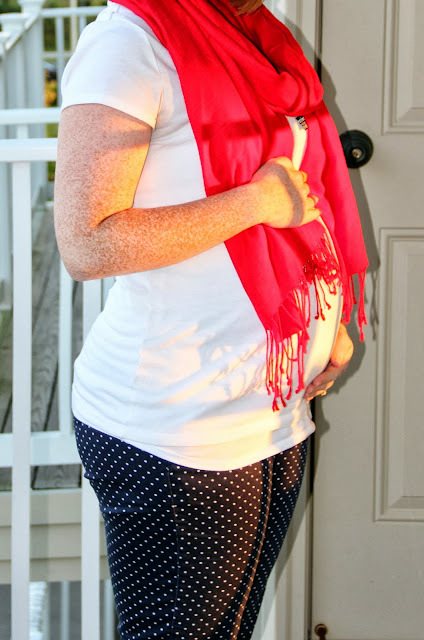 I'm learning that necklaces and scarves are your best friend when you're pregnant. Not only do they distract from your ever growing stomach but they also add variety so you can wear your white t-shirt 8 different ways! Love those pants!!!! So stinking cute. I'm anxiously awaiting an order from ON with a dress and a pair of skinny jeans. Can't wait to get them in!